InXile Entertainment's official twitter says some Wasteland 3 news is coming next week. "Stellar progress" sounds pretty encouraging and, hopefully, the InXile team will share some fresh gameplay and concept art with us all. Stay tuned for more information in the coming week. 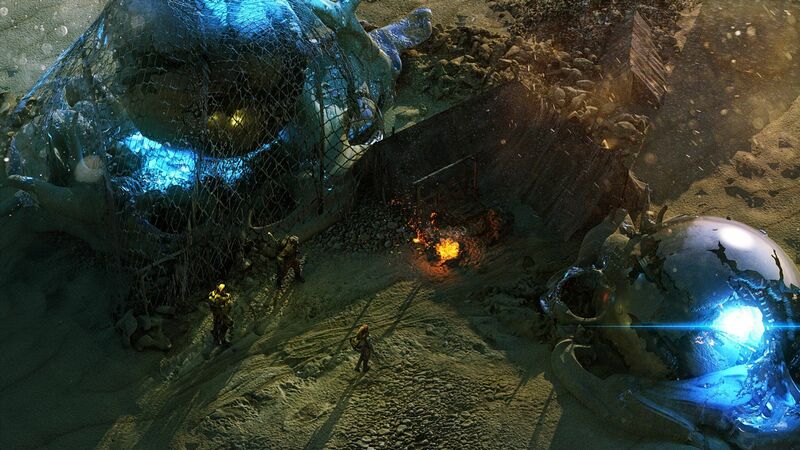 InXile Entertainment could be shedding some light on Wasteland 3's development sometime next week. The campaign for Wasteland 3 went live on Fig back in late 2016 and was funded with a staggering amount totaling over $3 million. The updates were coming in pretty steadily throughout the rest of that year and most of 2017, but the team went silent in October of last year. Via Twitter, InXile tells everyone to look for "something" during the week of April 16, 2018. Look for something early next week! The tweet from InXile Entertainment's official Twitter account was made in response to my and a fan's inquiries about the status of the game. The October 2017 update, titled Setting the Stage, focuses on level design, the flow of the Wasteland 3 experience, and the evolution of a conflict with missing hunters. The post also revealed the addition of Stewart Spilkin, a former InXile employee that worked on Hunted: The Demon's Forge and Choplifter HD, as Senior Producer for Wasteland 3. On the InXile Entertainment career webpage, there are openings for Senior Level Designer, Senior Environment Artist, Visual Effects Artist, Console Engineer, Unity Gameplay Engineer, and Senior Networking Engineer. None of these roles explicitly name Wasteland 3 as the title the new hires will work on, but it's worth noting that Wasteland 3 is built on the Unity engine. In the "Setting the Stage" post, PR/Community Manager Paul Marzagalli states that upcoming updates will include announcements for new team members. It's possible it took a bit longer to get those roles filled or even they have yet to be filled, and next week's update will explain what's going on. Keep an eye on Shacknews next week for whatever news InXile Entertainment drops.